In the comic books, Cletus Kasady is a serial killer who received part of the Venom alien symbiote costume, which creates a far worse and far more sadistic killer than Venom. And when Venom reformed as a ‘lethal protector’, it gave him a far worse version of himself to fight. 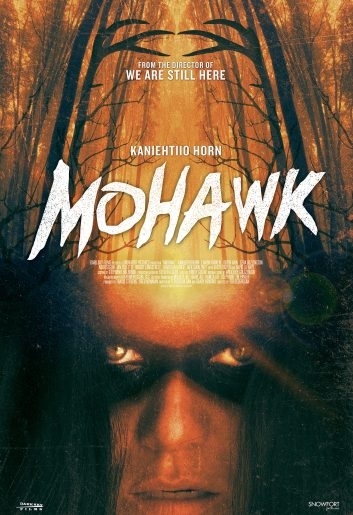 "After one of her tribe sets an American soldiers' camp ablaze, a young female Mohawk finds herself pursued by a ruthless band of renegades bent on revenge. Fleeing deep into the woods, Mohawk youths Oak and Calvin confront the bloodthirsty Colonel Holt and his soldiers. As the Americans seem to close in from all sides, the trio must summon every resource both real and supernatural as the brutal attack escalates." "A harmless game of “Truth or Dare” among friends turns deadly when someone—or something—begins to punish those who tell a lie—or refuse the dare." "Primatologist Davis Okoye, a man who keeps people at a distance, shares an unshakable bond with George, the extraordinarily intelligent, silverback gorilla who has been in his care since birth. But a rogue genetic experiment gone awry mutates this gentle ape into a raging creature of enormous size. To make matters worse, it’s soon discovered there are other similarly altered animals. As these newly created alpha predators tear across North America, destroying everything in their path, Okoye teams with a discredited genetic engineer to secure an antidote, fighting his way through an ever-changing battlefield, not only to halt a global catastrophe but to save the fearsome creature that was once his friend." "The story centers on young Anna, who spends her entire childhood in a single room under the care of a mysterious man she only knows as “Daddy.” He makes her fear the Outside by telling her of the “Wildling,” a creature with sharp teeth and claws who roams about eating little children. At age 16, Anna is freed by small-town sheriff Ellen Champney with whom she finds a temporary home. For the first time in her life, Anna experiences the Outside, but as she begins to flourish as a young woman, a series of unsettling events unfolds." "Four siblings seek refuge in an old home after the death of their mother, only to discover that the house has another, more sinister, inhabitant, in this haunting directorial debut from Sergio G. Sánchez, screenwriter of The Orphanage and The Impossible." 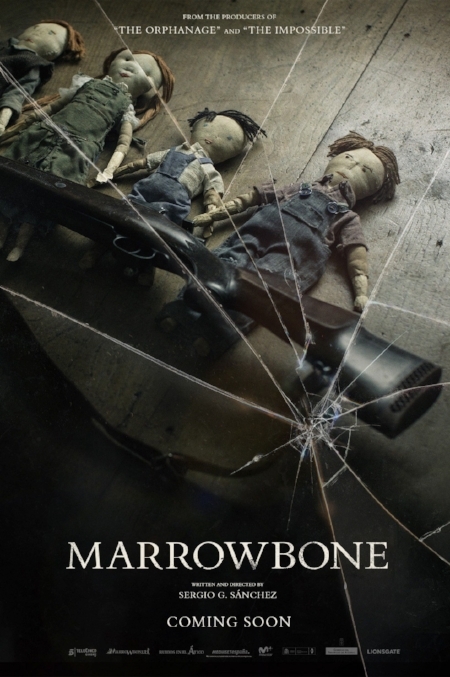 "Follows the crew of a horror web show who plan to stream live from inside the asylum. To attract more viewers, the show’s host arranges some scares for the team, but as they move further into the nightmarish old building, they begin to encounter much more than expected." Horror is once again back on top in the box office as ‘A Quiet Place’ has dethroned the most recent Spielberg flick ‘Ready Player One’ with a take of $50 million dollars. Seeing as it’s ‘freshness rating’ is at 97%, it’s no surprise that it’s the best film this week. Most other genre related films have fallen off the rankings with the exception of ‘Pacific Rim: Uprising’ which dropped from fifth to the ninth spot bringing in a total of just over $267 million dollars world wide. From what I’m currently seeing, ‘Truth or dare’, which is the latest Blumhouse film coming to theaters will be going up against ‘Rampage’. This factor, alongside horror fans unwillingness to see the film due to its PG-13 rating is likely going to cause the film to fail financially. An unfortunate thing to see but very common when going up against a blockbuster. Especially one which stars the ‘People’s Champ, The Rock’. I first fell in love with Terror Threads when they opened up shop just over two years ago. What started out as a small business run by an incredible husband and wife team, selling a handful of original t-shirt designs, has grown into a thriving shop and an active member of the horror community. They now offer dozens and dozens of unique designs, with a wide range of originals and a large selection of Officially Licensed apparel and merchandise from some of the best horror properties. 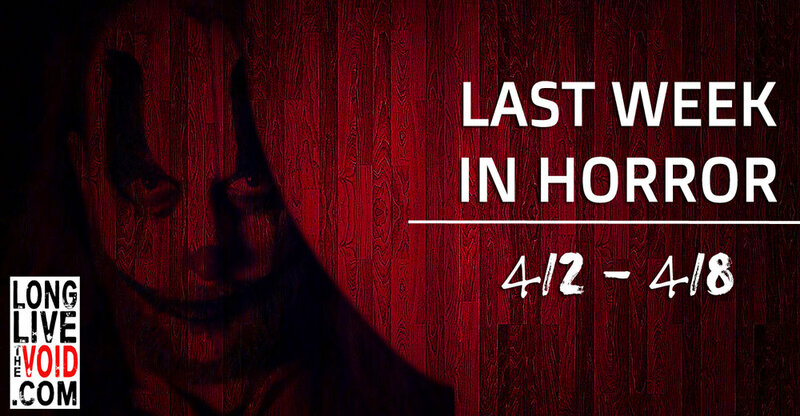 They’ve collaborated closely with Horror icons — including Felissa Rose, Danielle Harris, and the Soska Sisters — and partnered with popular indie horror filmmakers to promote films like Death House, The Houses October Built, and Terrifier. The remarkable growth they’ve experienced in such a short amount of time is a testament to the exceptional quality of their apparel, their genuine passion and love for horror, and their unbeatable customer service. It’s been such a joy to watch them grow and see them get the attention and love from the horror community they so deserve. But, even though they are now one of the biggest players in the horror apparel game, the shop is still run like a small business — with tremendous heart, sincerity, and a humility that you don’t often see among the bigger shops. The owner, Rick, is still very connected with the community. He attends as many conventions as possible to personally interact with the fans who love and support his business. He says thank you to everyone who shares photos of their Terror Threads merchandise on Instagram. He takes the time to repost everyone who shares. He shows the same respect and appreciation to those with 5 followers or 500,000. He is the first to volunteer whenever I’ve asked for donations for fundraising events. He always goes out of his way to help in any way he can. He never acts like he’s too big to be bothered and is genuinely grateful to everyone who appreciates the work he does — the work I know he pours his heart and soul into. It’s always a joy to buy products I absolutely love from a company I can really believe in and feel good about supporting.